Rebecca Stead, Newbery Medal-winning author of When You Reach Me, said this book is "brimming with surprises and grand adventure. Brave, smart, and full of heart, Madeline and Ruby are a gust of fresh air." Mad's dad is the Bird Guy. He'll go anywhere to study birds. So when he's offered a bird-tracking job in Central America, his bags are packed and he's jungle bound. But going bird tracking in the jungle and disappearing completely are very different things, and when the Very Strange and Incredibly Creepy Letter arrives, Mad can't shake the terrible feeling that her father is in trouble. Roo, Mad's younger sister, is convinced that the letter is a coded message. And their mom is worried, because the letter doesn't sound like Dad at all. But Mad is sure it's a sign of something sinister. The only way to get to the bottom of it is to go to Lava Bird Volcano and find their dad themselves. Though they never could have imagined what they're about to discover. 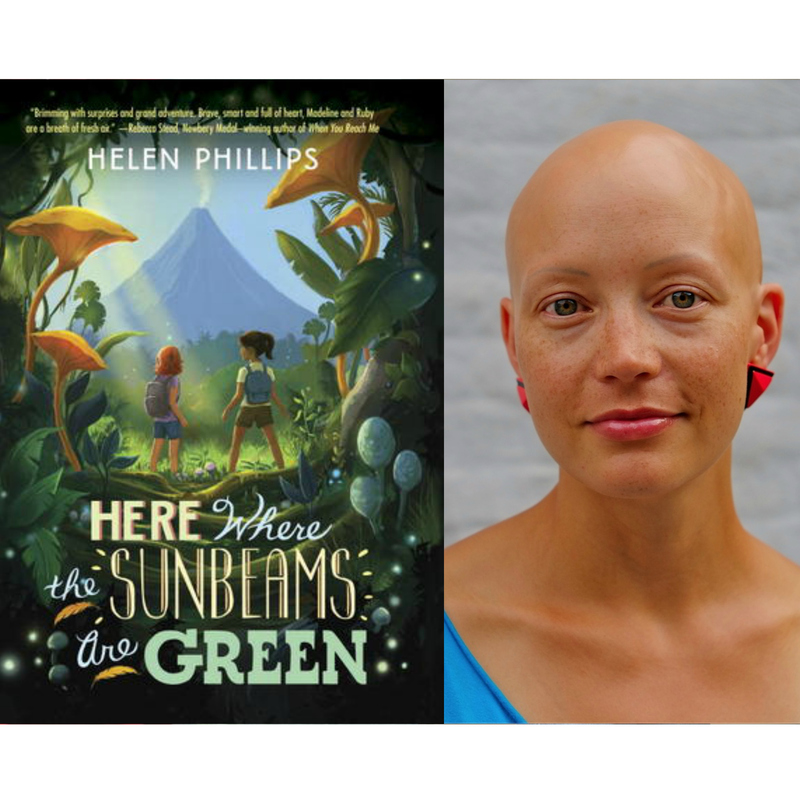 From new talent Helen Phillips, Here Where the Sunbeams Are Green is the story of what can happen when two sisters make some unusual friends, trust in each other, and bravely face a jungle of trouble all to bring their family back together.